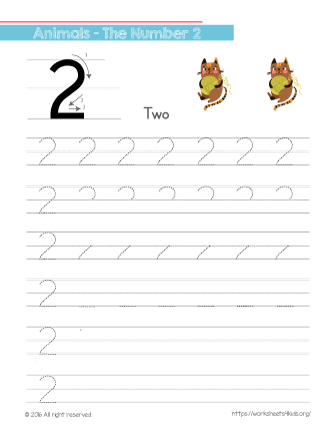 With this worksheet, your child will learn to trace number 2 and count the animal on the top of the page. 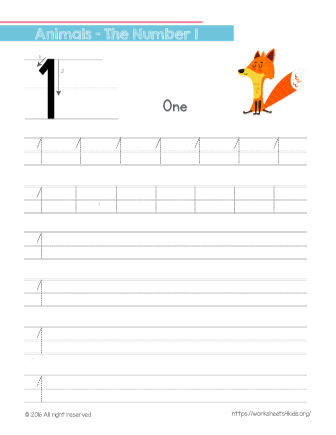 With this worksheet, kindergarten kids will learn how to write the number 1 and count how many foxes are there. 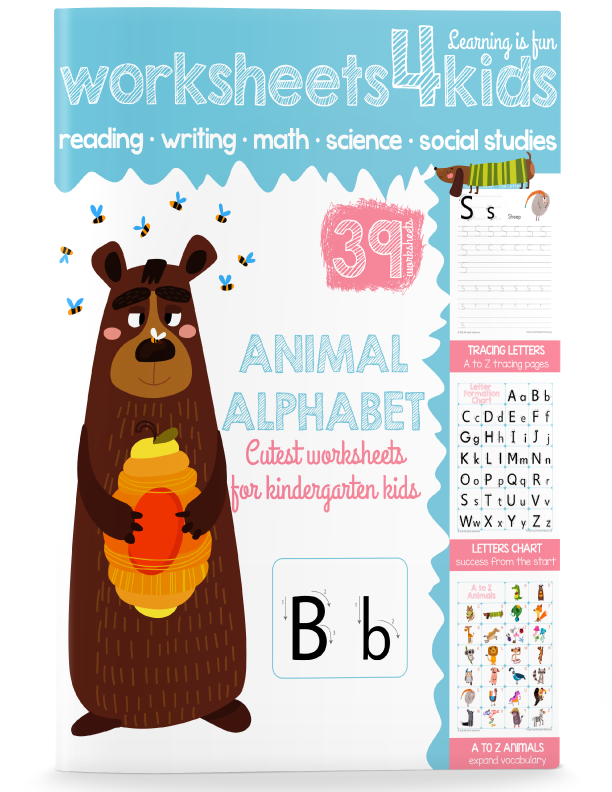 FREE traceable letters and numbers workbook!